Judith Mendelsohn Rood is Professor of History and Middle Eastern Studies at Biola University in La Mirada, California. She is the author of "Sacred Law In The Holy City: The Khedival Challenge To The Ottomans As Seen From Jerusalem, 1829-1841" (Brill, 2004). As I prepare to participate in a conference called “What We Choose to Remember” at the University of Portland on the Holocaust and the Arab-Israel Conflict next week, I have been thinking more and more about the controversy over a parcel of land in the district in West Jerusalem called Mamilla. Readers who recognize the place name, Mamilla, will know that this is the site that was chosen by the Jerusalem municipality to be the future home of the L.A.-based Simon Wiesenthal Center Museum of Tolerance. The Muslim community in Israel brought the case to the Israeli Supreme Court, which has ruled that although it had served as an important Muslim cemetery for centuries, because the Mufti had closed the cemetery and that it had been unused for many years, there were no legal grounds to prevent the construction of the museum. The court did not consider the fact that the parcel remained a property of the Salahiyyah Waqf, evidently on logic that since the Muslim authorities themselves had decided to develop the land for commercial and educational purposes it was no longer a cemetery, and that the State, as the custodian of public land—which in Israel often had been endowed to the Muslim community for centuries—had the right to dispose of as it chose. Muslim descendants of those buried in the cemetery have taken their case to the U.N. in the hope that the international community will intervene. Clearly this case has enormous consequences for deciding land tenure disputes between Palestinians and Israelis, especially in light of Hamas’ claim that all land in Palestine is Waqf endowed in perpetuity to the Muslim community—including all Jewish and Christian properties in Israel and Palestine. There has been scarce mention of the horrific massacre of Byzantine Christian residents by Jews in the extensive coverage of the museum controversy. Although the incident is well-attested in the historical record, despite the discovery and analysis of the physical evidence over almost twenty years and the fact that it is the subject of an important scholarly article on the way that the massacre has been treated by Christian, Jewish and Israeli historians, its significance has been ignored in the public controversy over the museum. History is stranger than fiction, and the kaleidoscope of alliances and conflicts in the Middle East is strange indeed. One of the darkest chapters of the history of Jerusalem occurred during a great superpower conflict in the seventh century A.D. between the Christian heirs of the Roman Empire, the Byzantine Christians, and their inveterate enemies in Persia, the Sasanian Zoroastrians. This chapter was unearthed in 1992, as the ground was being prepared for the construction of a municipal parking lot in West Jerusalem, not far from the King David Hotel and the YMCA in the Mamilla commercial district of Jerusalem. The construction crew uncovered a cave bearing the Greek inscription “Only God Knows Their Names” and filled with thousands upon thousands of bone fragments. The Biblical Archeology Review published Reich’s discoveries in 1996. In 2000, physical anthropologist Yossi Nagar reported the results of studies conducted on the forensic evidence and published on the Israel Antiquities Authority website. That evidence shows that the Greek-speaking Christian population of the city was neither Jewish nor Arab. Of the estimated 24,000-90,000 victims reported by chroniclers at the time of the massacre, only 526 individuals could be identified, although the large number of fragments suggested that thousands of victims were interred in the cave. The ratio of 38 males to 100 females indicates that those slain in the massacre were primarily Christian women, aged 30-35 years old. The archeologists speculate that this was because most of the city’s male inhabitants were fighting at the front, and the women stayed behind. Many of these were nuns. Apparently there were few children or elderly inhabitants. When Umar took the city from the Byzantines in 636 he agreed to the surrendering Greek patriarch’s request that Jews not be allowed back into the city, although ultimately the Muslims did permit them to return; the first time during the Umayyad Period, and the second when Saladin conquered the city in 1187 A.D. Umar is famed in Jerusalem for his humility in re-sanctifying the site of the Temple and for leaving the Church of the Holy Sepulchre in Christian hands. Among the Muslim tombs, there are Christian sepulchres dating from the Crusader period in the small remaining area of the cemetery. When Saladin defeated the Crusaders in 1187, he endowed the Mamilla district, where he had established his headquarters, as a trust in his charitable foundation, called the Salahiyah Waqf. This trust, logically, also administered the Church of the Holy Sepulchre and other Christian and Muslim institutions established before 1187 and during the Ayyubid period. The Waqf Administration continued to administer these even under British, Jordanian and Israeli rule. During the British Mandate, the Grand Mufti Hajj Amin al-Husseini, co-founder, with Hassan al-Banna, of the Muslim Brotherhood, closed the cemetery and rededicated the parcel, still part of the Salahiyyah Waqf, for the purpose of building an Arab university on the site. The Palace Hotel, a beautiful example of late-Ottoman architecture recently demolished and currently being rebuilt as luxury condominiums and boutiques, was built to provide income for the development of the future university. The Muslim authorities envisioned the university as a centerpiece of the new commercial district, which had been developed primarily by non-Jews during the Mandate Period. The Palace Hotel was taken over for use by the Israeli government at the time of the ceasefire. The cemetery at Mamilla became an overgrown corner of Independence Park, covered by trash and weeds an unsafe place for anyone to go. The Muslim community, however, remembered it and the notables who were buried there, but few others were even aware of it. Retired Muslim judge Shaykh Muhammad As’ad al-Imam al-Husseini gave me a guided tour of the cemetery in 1986, pointing out some of the graves of dignitaries, including former mayors of Jerusalem and other notables I was writing about in my doctoral dissertation. Theological differences between the three Abrahamic religions have become more and more pronounced as secular nationalism has failed to solve political and social conflicts in the Middle East, allowing fundamentalist religious ideologies to fill in the gap. The legacy of Christianity and Islam in Jerusalem is slowly being effaced through the neglect of the city’s non-Jewish architectural legacy and the emigration of the city’s secular Jewish and Palestinian Muslim and Christian inhabitants. While the significance of the Holy City to Jews and Muslims threatens to ignite apocalyptic warfare, the significance of the city to Christians nearly has been buried in the ashes of the Holocaust. The idea believers in the God of Abraham, Jews, Muslims and Christians together should hallow the blood-soaked ground of Mamilla may not be the strangest of all the options for this blood-drenched parcel of land. has both national and international importance, and is not only important to the Jewish people, rather it has importance to anyone who wishes to investigate the history of the area which is the cradle of the monotheistic religions. The importance of the archaeological research isn't only to understand the history of the land and to verify the truth of the facts we know from our sources, but … sheds light on the development of human culture. Therefore, its importance overrides nations and borders. The Mamilla Massacre is a dark chapter in the annals of the Jewish people, a sobering and necessary reminder of what hatred and the desire for revenge can breed in the human heart. If Jews, Christians, and Muslims can come together to find a way together to create a hallowed space for confession, repentance, and reconciliation, perhaps Mamilla can serve not only as a place of commemoration and warning, but also as a place of sanctification, where we can stand in awe and terror before God, pleading for mercy and forgiveness for what has been done in His name and praying for those whose names only He remembers. Mamilla offers two lessons. The first lesson, that Jews have committed outrages against their enemies, is one that the Jewish people must remember and acknowledge. At a time when Jewish-Muslim relations have never been worse, and Jewish-Christian relations are continually strained, the second lesson, that Jerusalem is a city of world historical importance to non-Jews, is of no less consequence. Indeed, `Umar, la habibna, paranoia of course. That explains everything. . . almost. In that vein, how do you explain Article 7 of the Hamas Charter that concludes with a hadith foretelling that, at Judgment Day, the Muslims will kill the Jews who will hide behind rocks and trees? The rocks and trees will then speak up and call out: O Muslim, O slave of Allah!! a Jew is hiding behind me. Come kill him. Can we have an authoritative exegesis of that hadith, if you don't mind and have the time, of course? Interesting hypothesis, Omar. You have outdone yourself once more. No doubt Ms Klingoffer has been rendered spechless by your sharp riposte and is hiding away somewhere in her paranoia as the realization of her "Jewish/Israeli exceptionalism" eats away at her soul. I only worry a little about your latest "...new, though historically ever present but often mute..." gem of a line; that one's bound to crash any Cray computer arrays we'll have to harness for its analysis. You are too cynical about the Copts, Elliott. Isn't this the era of Hope and Change? Anyway, be patient, for as you can plainly see, your government is engaged in extensive and (according to its PR) wildly successful and historically super-significant "smart diplomacy." Any day now, peace will break out, taking people like us out of the job of kvetching on forum. The reason neither you nor anyone can figure out Rood's essay is probably because she isn't sure what she wants to say and whatever she thinks she wants to say, she is saying it rather badly. It would seem as if she is having a try at making Mamilla into another political bludgeon to shame and distract Jews who, for some reason, balk at submitting Jerusalem to their enemies. But I don't believe even Rood entertains fantasies of masses of Jews ripping their lapels and pounding their chests over a 7th century event which may or may not have happened as claimed. Rood has a bigger task ahead, and that's to somehow "raise" the Mamilla "issue" from its currently unsavoury environment, which would be the sewers. Shahak and Finkelstein, since we are on the topic of sewage, have been the prime celebrities to belabour the subject of Mamilla and so far, it seems to be an online topic only with the kind of folks you wouldn't want to have over for dinner. Odd, that Rood claims that Mamilla is unknown; if you google it, you'll see that it's a very serious topic with the very serious and often dangerous kinds of cranks. Otherwise, I'm befuddled as you. She could be directing it at an audience we don't know about, be it "palastinianists" of all stripes, Jews for Jesus casualties, ghosts from her own past, or the cats under her porch. Oerhaps her essay is an academic's version of a therapeutically presribed primal scream of anger at her own past and people who, no doubt, never really understood or valued her enough. What the heck, with so little to go on, an amateur psychoanalysis is as good as anything. Peter, I'm sure that Ms Rood's successor at the State Dept's Egypt Desk gives just as much attention and concern to Coptic complaints of persecution as she did. We can rest assured. As to Ms Rood's disquisition or exposition, I found it rather incoherent or loosely constructed. Nor does she make her main argument clear from the beginning. However, I did glean a sense of a main argument through reading it to the end. Yet, it is not quite a match for Chateaubriand's account of his trip to Jeusalem and other lands east of Korfu circa 1806. Thank you Elliott, but my "brilliance" is an illusion formed mainly by the astonshingly insipid premises and the ethically malodorous nature and timing of Rood's essay. I sometimes get curious about what makes some of our Ivory Tower philospher kings and queens tick, and googling followed. 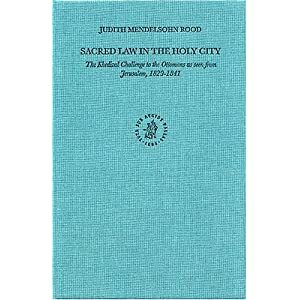 In reading he Mamilla essay, and stumbling across Rood's autobiographical blurb, I first concluded that as a new Christian, she is zealously springing to the defense, memory and honour of Christianity and Christians. That, one can understand. As I started googling, I anticipated a slew of strong, politically-oriented pro-Christian writings, but nothing like that emerged; I leave such to others to unearth, if such do exist. Instead, I came across her name as a co-signer of one of the most nauseating statements of grovelling dhimmitude I've come across: "Christian Leaders Ask for Muslim Forgiveness" in a Muslim-Christian organizational website A Common Word (http://www.acommonword.com/index.php?page=media&;item=173). Given what's been happening in the real world to Christian-Muslim relations, I guess the forgiveness bit is on hold. Ok, call me silly, but wouldn't the past and current horrific persecutions of Christians by Muslim governments and communities be of prime importance to a proud new Christian? At lesast equal to the "burning issue" and important "lessons" of an uncertain 7th century massacre of Byzantines? It's not as if Rood doesn't know. Rood describes her work as a State Department intern at the Egypt Desk in 1980: "...I wrote an analysis of Egypt's Law of Shame; I guided a tour of the [State] Department for the Egyptian War College; I summarized the daily news file and corresponded with Copts who were complaining of persecution" (see http://www.linkedin.com/pub/judith-rood/8/61a/a28). I guess the Copts were just complaining and the verification of their complaints is right behind the Islamic forgiveness we are still waiting for. I don't normally have the time or inclination to look into backgrounds of authors, but it was the high stink of insincerity in this twisted little essay ...not brilliance, I'd surely love to claim one day... which prompted me to take a closer look. Well, perhaps Rood will sort through the high-octane psycho-melo-drama of her world one day and will come clean about her intentions. Until then, I'm left with the conclusion that this is a silly flop of an attempted propaganda piece wrapped in scholarly packaging, pretending to be a sisterly advice to fellow Jews, and crafted by a frustrated Jews for Jesus victim who, in pretending to speak in defense of Christians, joins the latest "anti-Zionist" and Islamist "dismantle Israel by any means" crusade...or shall we call it jihad? Maybe I'll put this mess in a full-colour Venn diagramme format one day. Not that I'm complaining; I've been on many forums, but the delicious mind-candy entertainment we get on HNN is unbeatable. PS: I got sucked into the Gil book you listed and now I'll have to get it! As I pointed out in an earlier comment on this thread, Moshe Gil reports that the Emperor Haraclius and his folk took revenge on the Jews in 628 with a massacre after driving out the Persians. Readers can view the relevant pages of Gil's book on Amazon as I explain in two earlier comments. The charges Rood brings here are that Jews are poor keepers of Jerusalem's holy sites, that others have equal or over-riding claims to all or parts of the city, and that the Jews must humbly surrender legitimacy, claims and territory. The mechanism for brow-beating the Jews into capitulating to this latest siege on Jewish Jerusalem is a tear-jerker of a tale of an alleged massacre and an alleged Jewish involvement...back in the 7th century. The theme of supposed Jewish pathological hatred of Christians and their supernatural savagery is a familiar one in early Christian apologia. Here, the "history" has been adjusted to different times and different conquerors, but again, the “Jewish mob” howls for revenge and the authorities wash their hands and sadly give in. Historians always need to take a hard look at such single-sourced claims in religious literature, and red flags should definitely be popping up when such stories are resuscitated and cleverly coupled to stern sermons and demands. “Mamilla offers two lessons,” pontificates Rood, aparently from her acedemic pulpit. “The first lesson," she booms, "that Jews have committed outrages against their enemies, is one that the Jewish people must remember and acknowledge." Thunder and lightning here. And, "...at a time when Jewish-Muslim relations have never been worse, and Jewish-Christian relations are continually strained, the second lesson, that Jerusalem is a city of world historical importance to non-Jews, is of no less consequence." There you have it, Jews; you are not exceptional, everyone hates you and you better surrender your city, no matter to whom...because there will be consequences. But wait, if any of you perfidious and stiff-necked Jewish folk out there feel the urge to give away most or all of Jerusalem to its enemies in a fit of remorse over the sad tale of Mamilla, consider first the source of this latest "Epistle to the Jews." Unless you are familiar with the world-acclaimed Biola University in La Mirada, or have managed to stumble onto Professor Rood’s maudlin autobiographical essay (http://sites.google.com/site/jmendelsohnrood/), you wouldn’t know that you are reliving a historical Doppler echo of Jews being dragged to their knees by an overzealous Jewish apostate. Rood is, after all, a convert to Christianity through Jews for Jesus. Oh, did she ot mention that? No? Well, that normally would be her private affair, but not when she appears on a history website and offers lessons to Jews in the implied role of a humanitarian "progressive" historian, rather than a religiously committed convert and possibly a Jews for Jesus lay missionary with an axe to grind. Her choice is somewhat understandable; had she been upfront, authentic and committed Jews would have immediately dismissed her “lessons” as typical Jews for Jesus propaganda and a strategically timed and tailored political attack from the enemy camp. Authentic Christians, on the other hand, would shake their heads at the insincerity behind this embarassing charade. And once again, we are left to ask, how ridiculous and distasteful can some historians get before their colleagues notice and say something? "I find the Rood's argument absurd to say the least." Of course you would since it fails to observe "Jewish/Israeli exceptionalism"; the new, though historically ever present but often mute, collective paranoia of the” chosen people"! Jews do not need be perfect or even uniquely virtuous to be able to claim for their capital the only city widely acknowledged for thousands of years as holy to them. Indeed, it is the knowledge of Jerusalem's importance to Jews that led non Jews (especially those who wished to destroy Jews and Judaism) to exclude them from the city. That does not mean that non Jews should be excluded from Jerusalem in the manner non Muslims are excluded from Mecca, it merely means that Jews have a special claim to Jerusalem whether they have lost it and revenged themselves on their tormentors one time or the other. Let's not forget that it was only Israeli Jews that were ILLEGALLY excluded and ancient Jewish graveyards that were desecrated during the period when "moderate" Jordan ruled Jerusalem from 1948-1967 when it used its position to shell the part of the then Israeli part of the city and close the roads leading out of the city. I know I was there. In short, I find the Rood's argument absurd to say the least. I pointed out that the Western Christian Crusaders massacred the Jews and Muslims in Jerusalem when they conquered the city in 1099. From rereading Moshe Gil's chapter cited above, I see that I should have mentioned a more relevant massacre. After the Byzantine Empire retook the Levant, including Jerusalem, from the Persians, there was a massacre of the Jews who had gone to live in Jerusalem during the brief period of Persian rule. Jews had been long forbidden to dwell in Jerusalem under Byzantine rule. This massacre of Jews took place in 628 CE. Gil reports that some attribute the massacre to the Emperor Heraclius [pp 2-3 in Moshe Gil's article in the Haggai Ben-Shammai/Joshua Prawer book. The pages cited can be viewed on the Amazon site as explained above]. It is always risky to take historical events out of context and try to work them into contemporary politics. The precarious condition of the Jews under Persian rule is well-documented in the Biblical Book of Esther, where a planned massacre of Jews is prevented, but the Jews nonetheless exact their revenge. I thank Mr. Green for expanding on my piece. Space didn't allow for me to go into all of the fine details that Mr. Green added to the discussion. The historiography of the early conquests is currently going under considerable revision. Vol. 4 Number 2 (1998). This was available at http://www.iupress.indiana.edu/journals/jss/jss4-2.html but is no longer there; it is available through J-STOR. Early Islam 2. Princeton: The Darwin Press, Inc., 1995. Zeidan Kaffafi and Robert Schick, eds. Jerusalem Before Islam. BAR International Series 1699. Oxford: Archaeopess, 2007. Another transparent political advocacy piece packaged as history. Must be a trend, nowadays, as in "relevant" or "living" history for college kids endowed with the attention span of a gnat and the depth of a dinner plate. Just as propaganda for dividing Jerusalem is spinning up again, someone happens to write an article straining to connect Jews, Israel and the status of Jerusalem to a historically murky massacre that took place in the 7th century. Why not bring up the horrible massacre of the Venetians, the "Latins," in the Constantinople of the 12th century? That one was conducted by the Byzantines, the same folks over whom we just presumably shed a tear. It's also better documented and is much more "recent," making it more "relevant" for our budding young scholars. Then we can also have a symposium on creating a "sacred space" in some prime real estate spot in Istanbul and see how well that works out. I'm not taking any position on Mr. Green's critique, but you didn't omit that from the article: it's clearly there. I also forgot to mention that the Persians, upon recognizing the Magi in a mosaic in the Church of the Nativity in Bethlehem as themselves Persian, moved on without destroying it. The Amazon page on the Prawer-Ben Shammai book allows you to see pages from Moshe Gil's article [mentioned in my previous comment] that deal with the early beginnings of Muslim/Arab rule in Jerusalem. Click on the pix of the book cover. Then, in the new window, click on the right arrow on the right side of the book page. by the way, the book is one of a series on the history of Jerusalem published by the Yad Ben Zvi in Jerusalem. All the books in the series so far published are in Hebrew. Several have been translated into English and published, as has this volume. However, I don't think that the series is complete even in Hebrew yet. It is correct that the Mamilla name and the still existing pool were in place in pre-Islamic, Byzantine times. However, Rood does not make clear that Amin el-Husseini himself wanted to develop the Palace Hotel built on the cemetery grounds. When the presence of bones was reported to him by a Jewish contractor working for him, Husseini told the contractor to ignore them. So the Mufti Husseini, the highest Muslim religious official in the city in British mandatory times, was quite comfortable with "desecrating" the cemetery and giving it a profane use. Rood also writes that Umar captured the city in 636 CE. The date usually accepted by historians today for the Arab-Muslim conquest of Jerusalem is 638. She does not clearly state why Umar would have had to "re-sanctify" the Temple Mount. However, Christian writers described the site of the Temple as a place of "sterquilinum," that is, a trash dump, during the Byzantine period. This was an obvious and constant humiliation and insult to the Jews, besides the oppressed status of the Jews in the Land of Israel and the Byzantine Empire generally. Rood does not indicate this nor that Jews were long forbidden to live in Jerusalem in that period, except through her suggesting the fact by reporting the promise made to the Christian Patriarch Sophronius by the Muslim conqueror not to let Jews live in the city. Jerome, translator of the Vulgate, writes poignantly [4th century] though with hostility that Jews were allowed to visit their holy city one day in the year in humiliating conditions. It is not clear that `Umar "re-sanctified" the site of the Temple. In any case, he did NOT recognize it as the site of the Furthest Mosque [al-Aqsa] mentioned in the Quran in the chapter [sura] called Sons of Israel [also called "Isra"]. That designation only came about 50 years later when the Umayyad rulers decided to make Jerusalem a holy city and the Temple Mount a Muslim holy place in order to compete with Mecca and Medina that had come under a rival dynasty circa 685. The Umayyads wanted to have their own holy city and what more convenient way to do that than to recycle a city already holy to Jews and Christians. As to the Jewish massacre of Christians during the Persian conquest, I do not doubt its historicity. However, it is only known, as far as I know, through Christian writings. Often, events reported only in Jewish writings are doubted or denied on that account. Here we have a common double standard. I am not complaining about Ms Rood in this regard. What she might have done, though, is to mention that when the Christian Crusaders conquered Jerusalem in 1099 they slaughtered the Jews and Muslims in the city, slaughtering the Jews in the synagogue. The account that Rood gives of Jewish armed forces allying with the Persians reminds us that there was a large Jewish population in the country at that time, although they were forbidden to live in Jerusalem. This vitiates the widespread false belief that Jews were absent from Israel for 2000 years before the restoration of a Jewish state. If we relate the Roman and Christian ban on Jews in Jerusalem to contemporary events, it seems that President Obama and his administration would like to renew that Christian prohibition on Jewish residence in the city, as well as the Jordanian exclusion of Jews from the Jordanian-occupied sector of the city from 1948 to 1967. If every site of an historical massacre in Jerusalem were marked and preserved, there'd be nothing left. Except arguments about which marker on each site should be biggest. This can't be the foundation of a reasonable argument at this point.